A head-on collision on State Route 410 left a 56-year-old woman dead and a 62-year-old man injured Saturday afternoon. 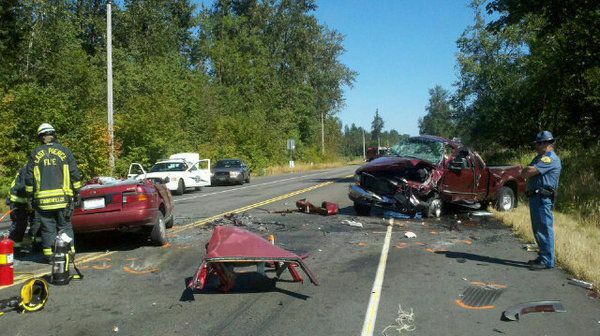 A collision report from the Washington State Patrol (WSP) indicates that 56-year-old Pamela Bone of Sumner was driving westbound on SR 410 when her vehicle crossed the centerline and collided head-on with a 2000 Ford pickup. Bone was fatally injured in the car accident and was pronounced dead at the scene of the crash. The driver of the pickup, a 62-year-old man from Bonney Lake, was taken to Good Samaritan Hospital in nearby Puyallup to be treated for his injuries. WSP Trooper Guy Gill says the man is expected to recover, and that it does not appear that drugs or alcohol were involved in causing the collision. Davis Law Group helps accident victims get financial compensation for their injuries and lost wages. We work closely with the criminal prosecutor to make sure that all avenues, both criminal and civil, are being pursued. If you have been the victim of a vehicle accident or have been injured through no fault of your own, contact the award-winning personal injury lawyers at Davis Law Group at 206-727-4000.